For details on our limo services rates, prices, and policies, click READ MORE below. The links below will help you understand in great detail about how our limousine and sedan service rates are calculated, plus much more. It is to your advantage to understand the basics of things like Hourly Rates vs. Per-Mile or Point-to-Point Rates vs. Package Rates (for example) so that you can get the best pricing possible for your particular needs. 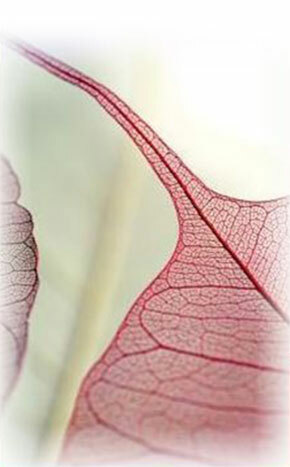 Aspen Limo is fully transparent in all of our business dealings so that there are absolutely no surprises for you - our #1 highest priority in everything we do - our customer. All of our rates and your prices are fully explained on our website, and detailed quotes and confirmations are sent to you via email. Our privacy statement, customer rules, service disclaimers, cancellation policies and more are also all available on our website as well. If you have any questions at all, please simply call us at 612-590-8000 today! Beginning on Wednesday April 3, and ending on Wednesday April 10, Aspen Limo will be offering special NCAA FINAL FOUR RATES. ALL THREE ITEMS ARE FOUND THROUGHOUT OUR WEB SITE. 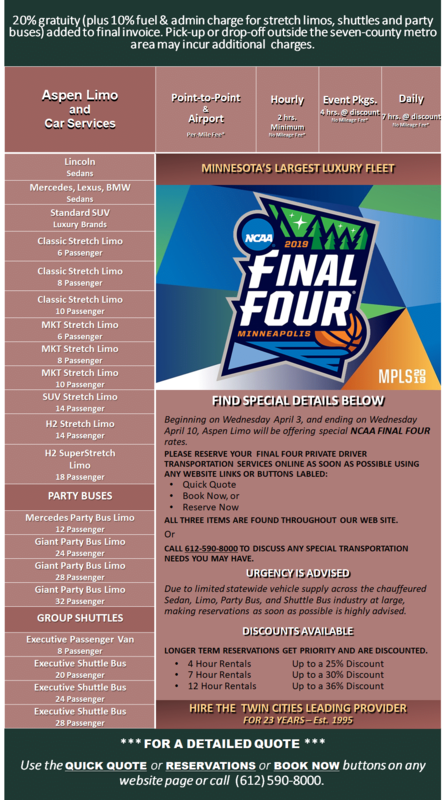 CALL 612-590-8000 TO DISCUSS ANY SPECIAL FINAL FOUR TRANSPORTATION NEEDS YOU MAY HAVE. BE ADVISED: Due to limited statewide vehicle supply across the chauffeured Sedan, Limo, Party Bus, and Shuttle Bus industry at large, making reservations as soon as possible is highly recommended. LONGER TERM NCAA TRANSPORTATION RESERVATIONS GET PRIORITY AND ARE DISCOUNTED. HIRE THE TWIN CITIES LEADING NCAA FINAL FOUR TRANSPORTATION PROVIDER.